What are the essential lessons of emotional intelligence for building a thriving future with emotional intelligence? 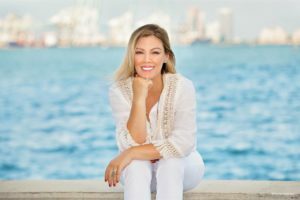 Fiorella Velarde is an educational consultant with her own company Edu-Life and a Network Leader for Six Seconds living in Miami, Florida. She has dedicated her life to helping children build resilience in the face of stress and other challenges using the wisdom of EQ and psychology. What would you like to see in the field of EQ? FV: I would like to see more government organizations embracing E.Q as part of their policy. For instance, there are ongoing projects in Peru and Argentina on passing an Emotional Intelligence Bill to make E.Q available in schools and have emotional intelligence and self-awareness taught in the civics curriculum. It would help so much in curbing violence in our society. Only by educating people and increasing their awareness about how their emotions affect their behavior things would change. Here in Florida, I would like to see E.Q becoming part of the school curriculum or integrated into Head Start early education program. How did you come to learn about Six Seconds and EQ? FV: I am a psychologist and have a Master Degree in Education. One of my passions has been the framework of Positive Psychology; that’s what I am at heart, a positivist psychologist; someone who believes that most anyone can be equip with the right tools to flourish and thrive. I remember that even before starting my graduate studies in Psychology, I was a brand advocate/ trainer for a 500 Fortune company and as such I used to work with corporate and retail employees in giving them training, soft skills, sales techniques and the whole tool kit to motivate them in performing better and basically increasing sales and profits. It was at that time when I realized that underneath those business needs, there was a huge need for emotional regulation and resiliency building skills. That was my first awakening of consciousness; I started reading authors and scientists like Daniel Goleman, Peter Salovey, John Mayer and other fantastic researchers. So, that was how I decided to go into positive psychology, so I could co create and deliver efficient tools for people’s well being. Personally, I don’t think that all remedies to our conflicts can be found on prescription drugs. You go to a therapist and you get a bunch of pills. Maybe what you need are better tools and strategies and a change of outlook, or get yourself out from your toxic environment. Sometimes your depression is not YOUR depression, but rather environment you’re choosing to inhabit. Where does psychology overlap with Six Seconds methodology and how did you translate the terminology? FV: So often, people try to find “anchor” terms that make them feel comfortable while they are definitely not looking for judgment. Six Seconds allows me to work with current brain patterns and lead my clients to their goals and find unique situations for them. Sometimes, perhaps due to my background, I can perceive that they need to lower their emotional drama and negative self-talk before they engage in real change. Psychology allows me to explain how their thoughts and their emotions do not work in a vacuum but rather in a complex combination of nurture + environment. So, language does overlap sometimes, but I realize that language must also be simple and accessible to everybody and that is what I love about the Six Seconds’ framework. It expanded my emotional awareness and provided me with a working canvas that is very effective with children, individuals, and especially with organizational teams and schools. This model, Know, Choose, Give works like a gem for me along with other techniques and tools that I use. How are you spreading emotional intelligence as a Network Leader for Six Seconds? We have exciting challenges in South Florida, because the opportunity it offers to bilingual speakers like myself. I’m very excited about the upcoming certification in Georgia because I would love to see this team grow and be able to work with other fellow Six Seconds trainers. Right now, about 50% of the workshops that I teach are in the Spanish language and South Florida is the gateway to the Americas…so people can find diverse niches to focus on depending on their backgrounds and preferences. For instance, I chose to work locally with children, teach workshops for individuals and small business and travel internationally to Latin-American clients, but everyone is different. The State of the Heart report showed EQ going down. Any thoughts on how Network Leaders and Regional Network Directors could get this out more broadly? FV: I would encourage also other Network Leaders to share our tools and profiles as much as they can. They are a great conversation starter. Everyone wants to know how their brain works! Further, I would recommend adding knowledge to your toolkit to improve your command of the E.Q language staying always current and on top of the latest research. Right now, I am taking a class in neuroscience because we trainers need to be able to understand and explain these concepts in very simple and accessible words to everyone. That is huge for credibility as well. Talk about your work in schools. FV: My new venture is a non-profit called Eduhearts, Inc. I’m leasing classroom space in elementary schools to teach E.Q skills through activities and games based on research based curriculum. Our classes are held once a week after school’s dismissal time. Initially the program must approved by each school’s Principal, but after that all marketing efforts and expenses are covered by Eduhearts,Inc. Parents are responding with curiosity and interest. They are looking forward to see this program’s aggregate value and obtaining really quick results of the program. I’m however, constantly reminding them that they need to be patient and most importantly, they must accompany their children in the process if they want to see real change. I’m encountering some resistance from school administrators. They all acknowledge an impending need for these programs, but in places like Florida they are also concerned with test preparation. And there are teachers who really love the children, but they are teaching to the test as well. I found a good way – I think it is- to get inside schools and teach emotional intelligence as a vendor. It is of course a risk, because this is an untapped business venture and we are still explaining it to parents. So you are getting some receptivity? FV: I could say so. I’m also working with another important population here in Boca Raton: homeschoolers at Salt Academy. These students are more flexible in terms of scheduling. They benefit learning very important tools it to socialize with other kids and become more fluid in their interpersonal dynamics. Homeschooling is huge in South Florida, I didn’t realize that until I started giving these children’s classes. Do you find that Six Seconds EQ translates into Spanish well? FV: Yes, it does. There are certain words in the EQ field that may raise translator’s eyebrows, but it is a very well done universal model. I have clients in Latin America and as I work the Change MAP in Spanish, it is perfectly understood. 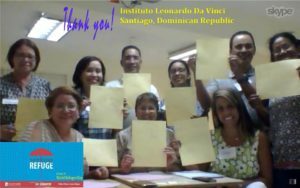 I also organized a virtual Seeking Refugee with a K-12 school in Dominican Republic and they loved the material. FV: For my fellow trainers, especially newly certified ones. Keep preparing yourself, do work that allows you to harness from your strengths as a trainer, while working on your personal areas of improvement. It also affords you greater versatility to appeal to diverse clients. I’m personally starting to do more work on Brene Brown’s empathy model and Judith Glasser’s Conversational Intelligence. Good reading about what you are doing! Keep up the great EQ work. Dear Fiorella, it’s great to read about how you are slowly but surely making a difference for children. As an educator and counselor in a society where test taking is EVERYTHING, I wish we could begin to make some headway with eQ into the curriculum. Children are literally taking their own lives due to exam scores (and these are not fail scores, mind you).I look forward to hearing more about what you are doing, and hope we can one day start something here as well.